This article provides a basic breakdown of the most popular social media sites and how public relations professionals can use each of them uniquely to their advantage, after presenting some striking statistics about the impact of modern social media. 2. Is the Reported 10,000 Character Count Going to Kill Twitter? Wood addresses the rumors of the character count change on Twitter and offers his opinions. 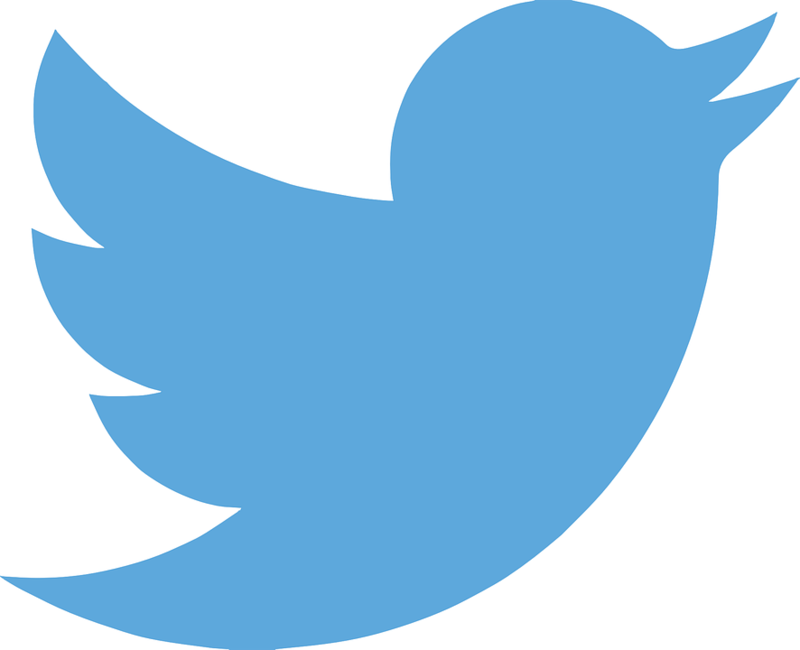 What are your thoughts on Twitter’s potential character count move? This article was originally published in the winter 2016 issue of FORUM, linked and summarized in number eight of this list. This article provides students with tips to make a lasting impression and stand out among your peers, especially in career fair and internship search situations. Herndon provides seven tips for “adulting” as a young public relations professional, complete with humorous GIFs for every situation. Etiquette for follow-up, knowing who you are pitching to and avoiding buzzwords are a few pieces of advice Lane has for you when you pitch a reporter. Read the article to learn more about what you should and shouldn’t do in media relations. Haynesworth provides five comforting tips for new professionals entering the job market, including advice on networking, writing and personal confidence. The challenge to stand out in a inundated media world continues. Guest author Jay Selig of RedPeg Marketing offers a few ways you can try experiential marketing for your clients. Think sampling and live events. 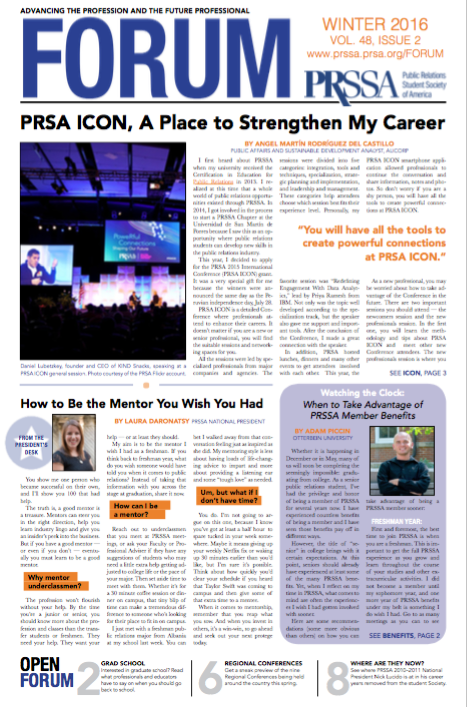 This most recent issue of PRSSA’s tri-annual newspaper is full of highly relevant topics. These topics include graduate school, mentorship, writing, servant leadership and digital media’s influence on the upcoming election. It also contains two spreads — one recapping the PRSSA 2015 National Conference and one previewing the PRSSA 2016 Regional Conferences. Which article is your favorite? These articles are gathered and submitted by the PRSSA National Committee and the PRSSA publications team as well as occasional contributions from members, so feel free to pass along interesting articles to Emma Finkbeiner by email at emfinky@gmail.com. Emma Finkbeiner is the PRSSA 2015–2016 publications editor in chief. She is a senior public relations major at Northern Michigan University. Connect with her on Twitter, @efink101, or LinkedIn.